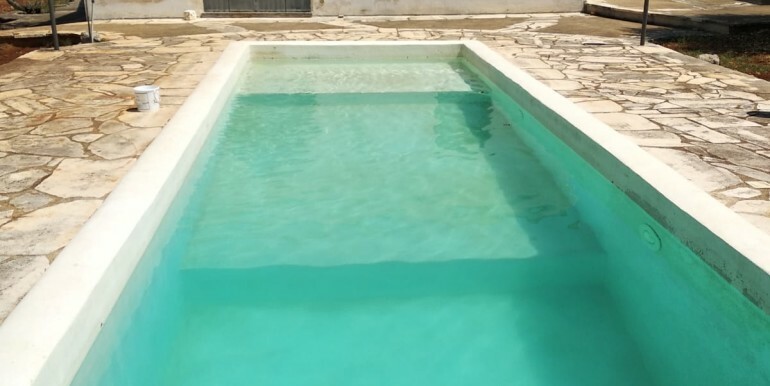 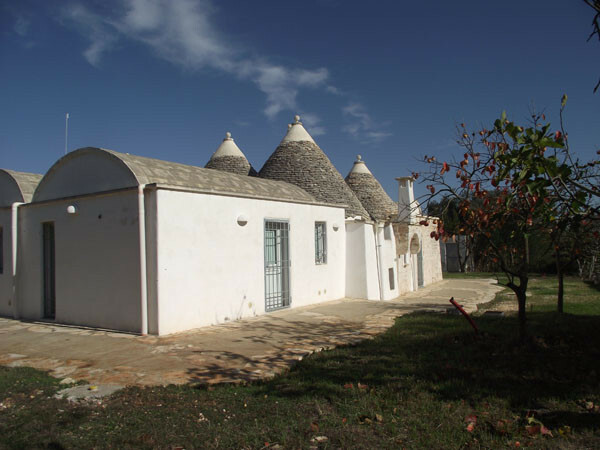 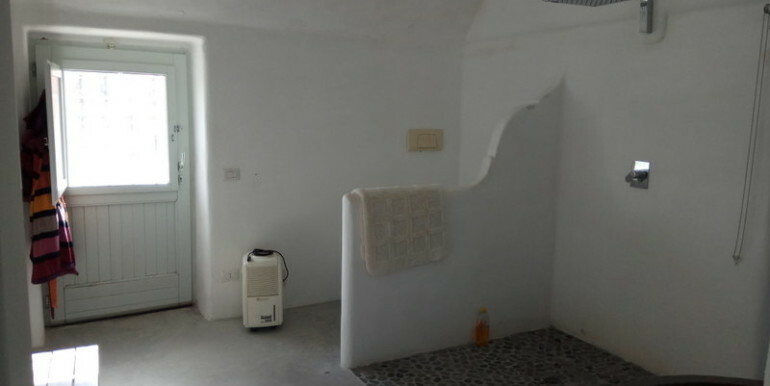 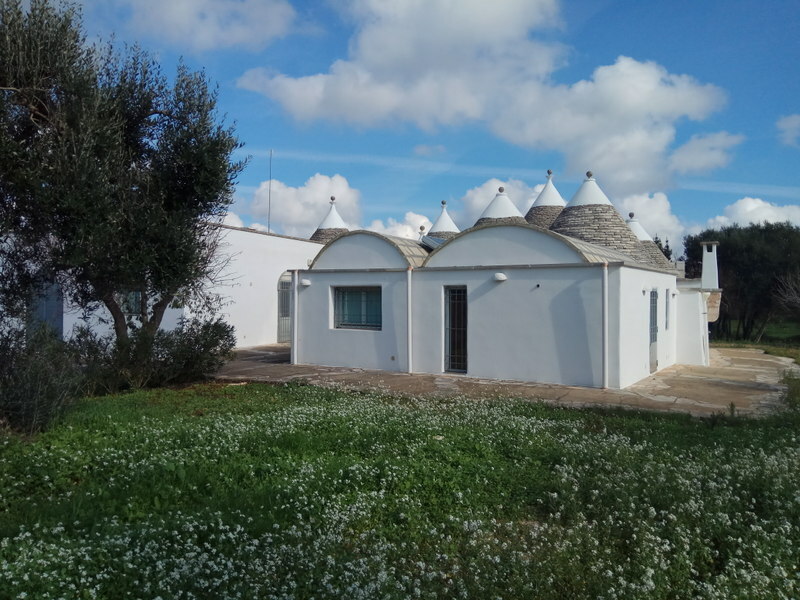 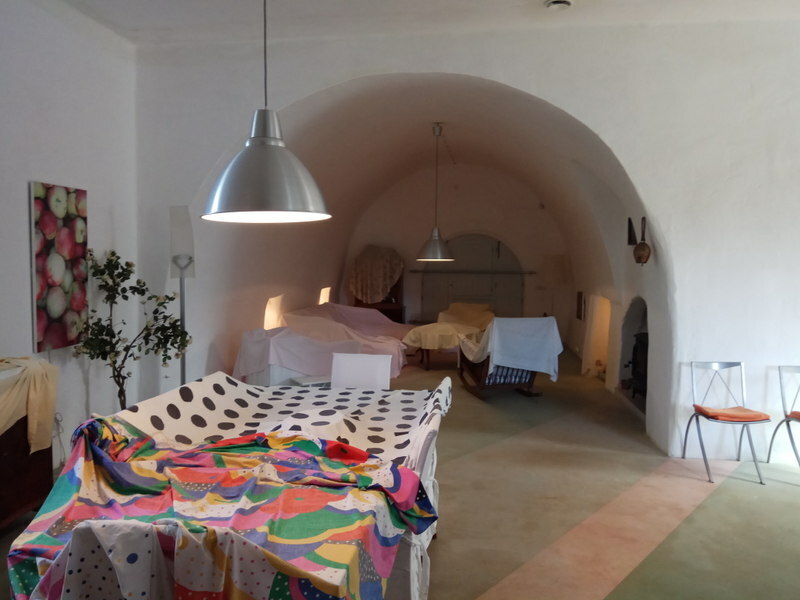 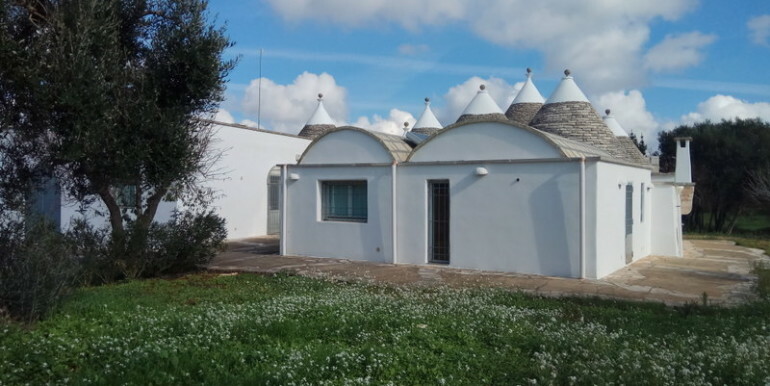 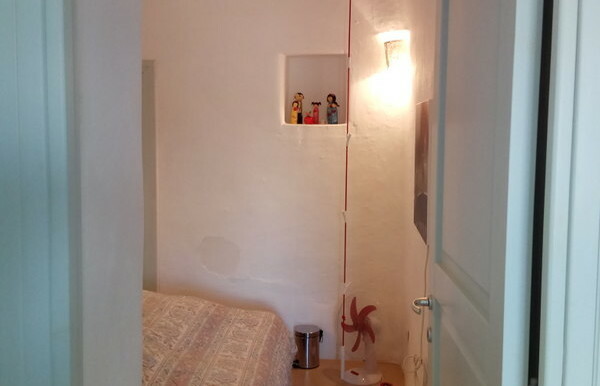 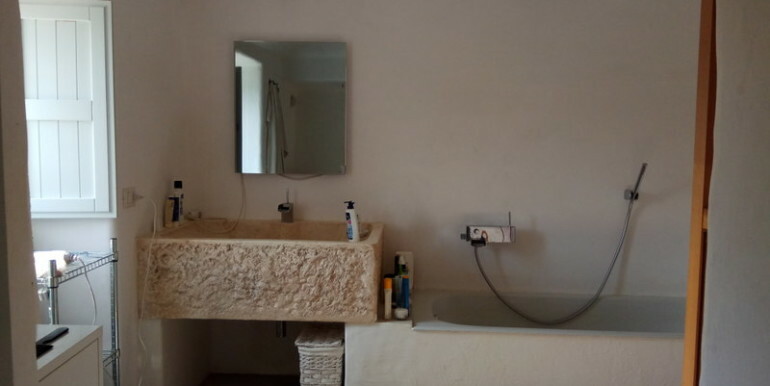 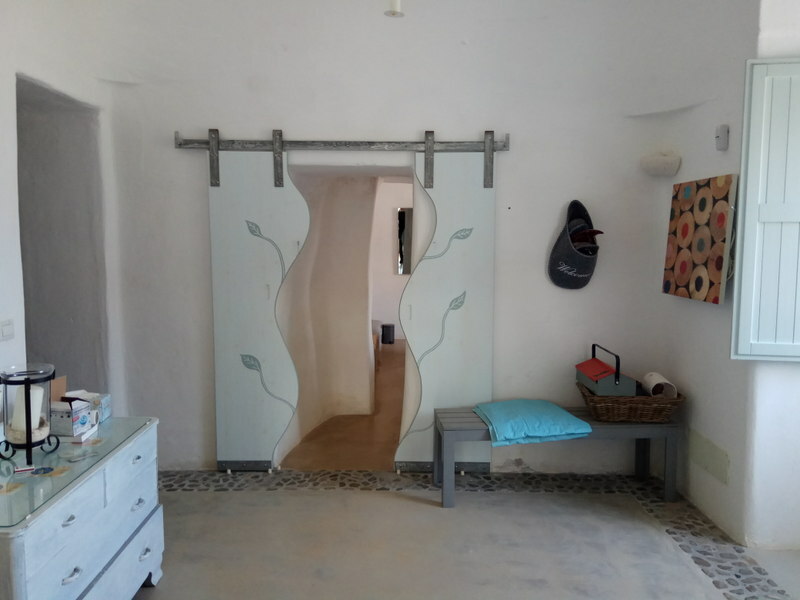 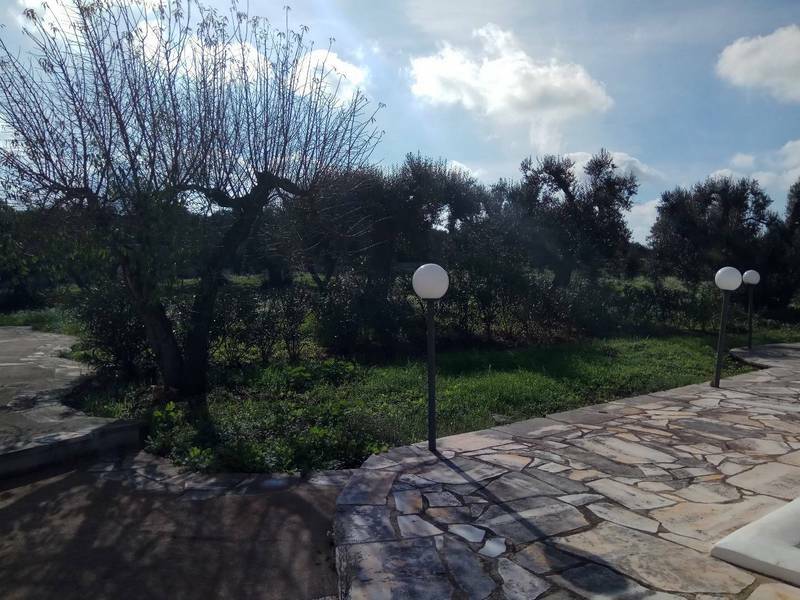 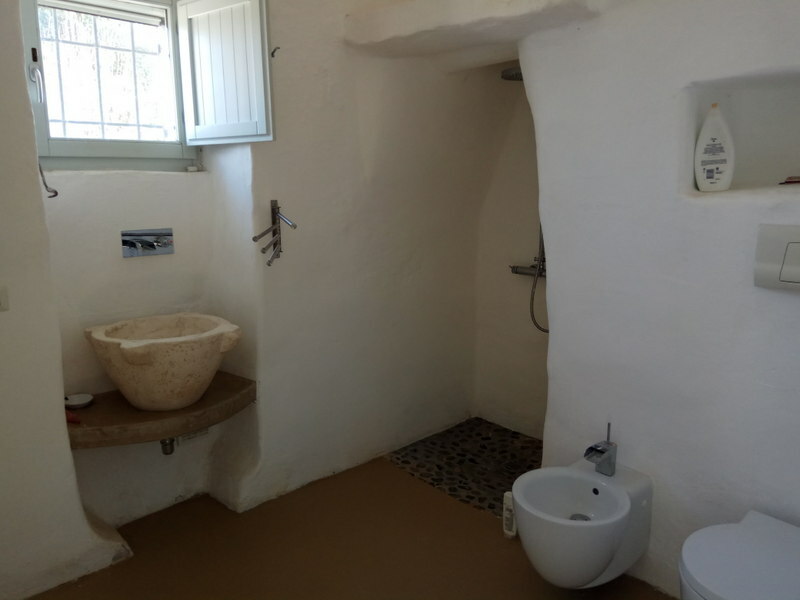 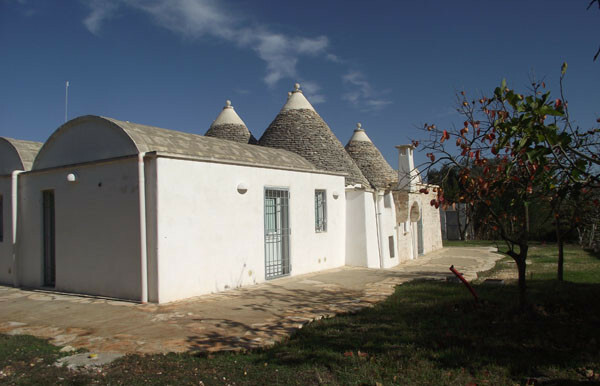 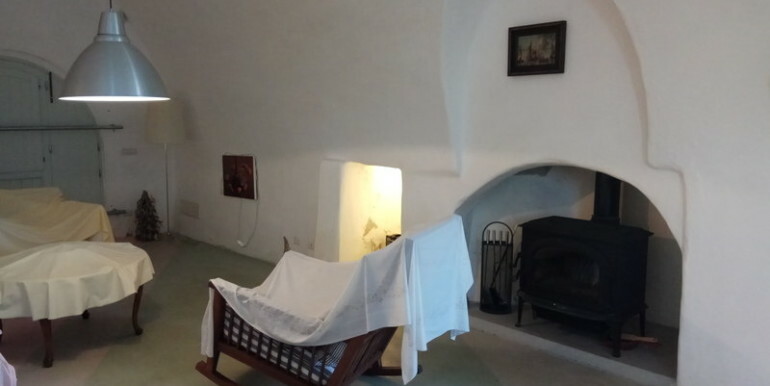 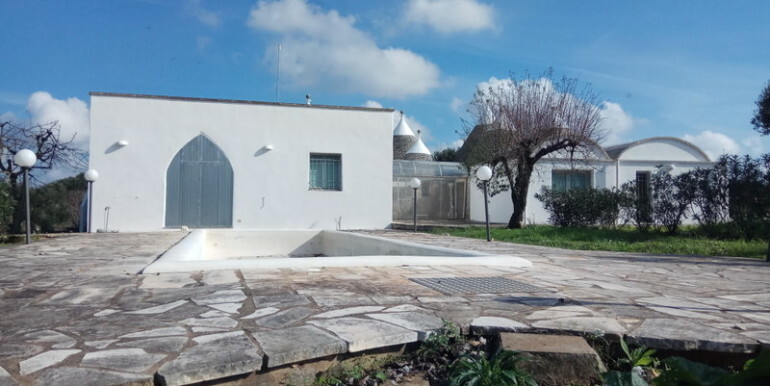 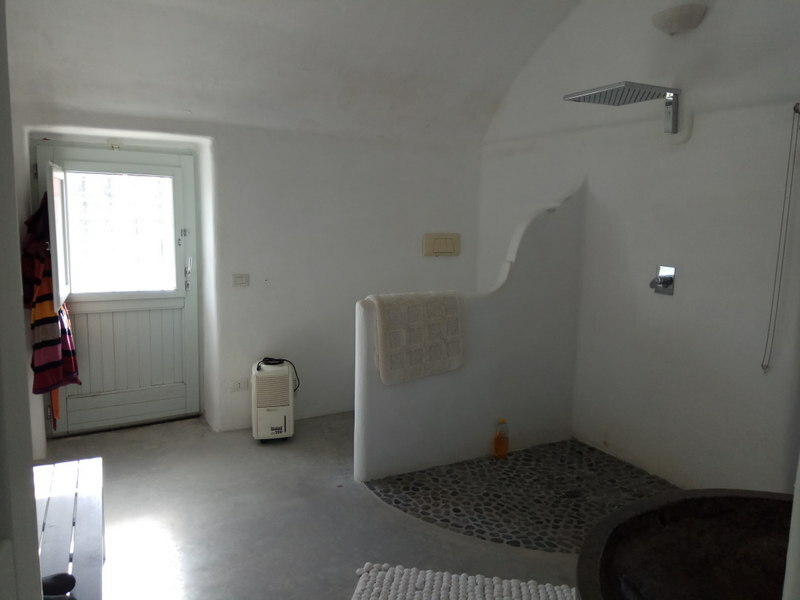 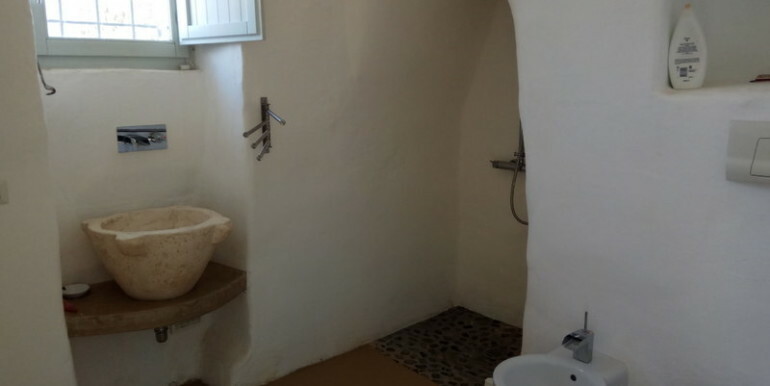 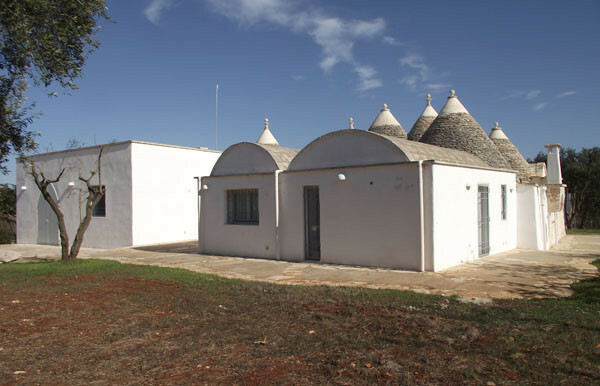 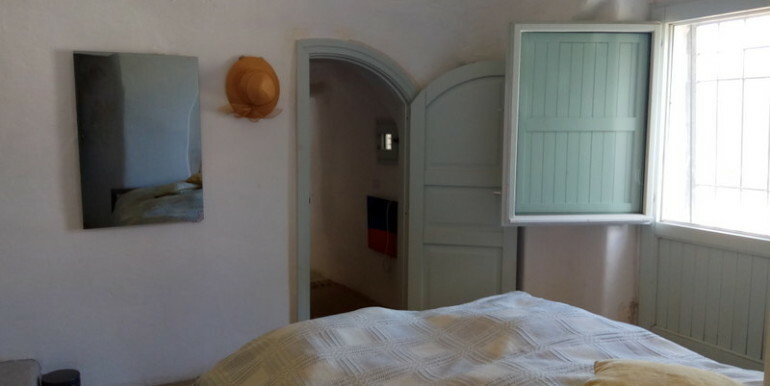 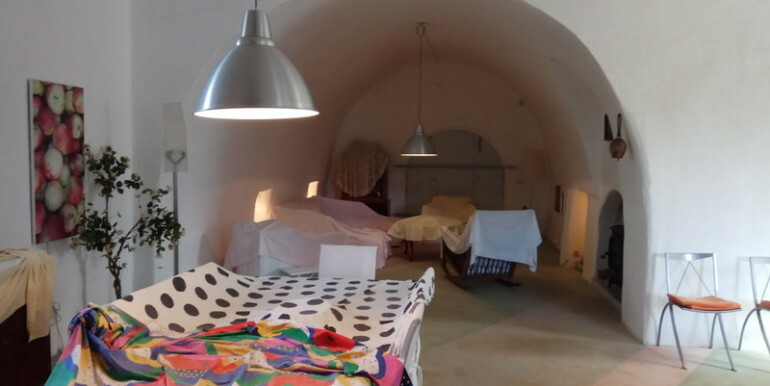 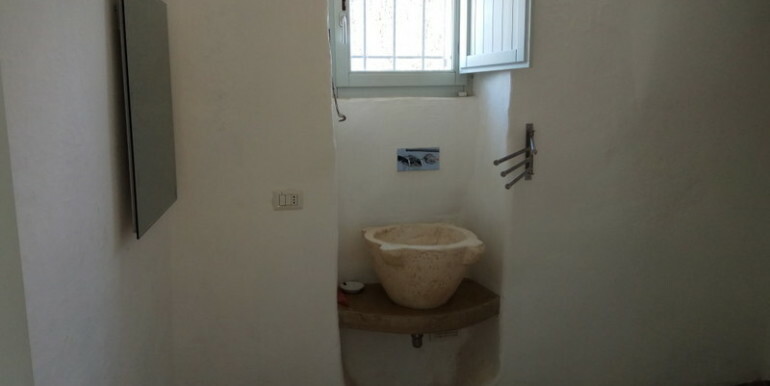 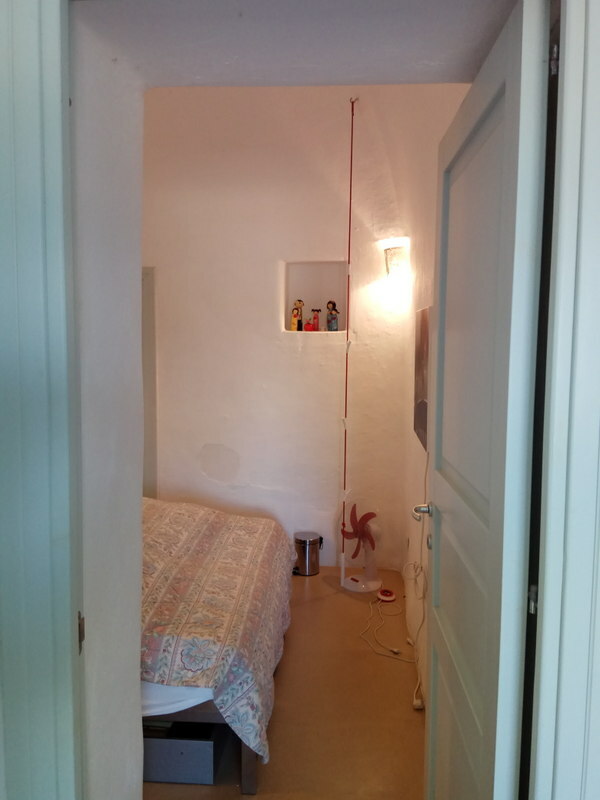 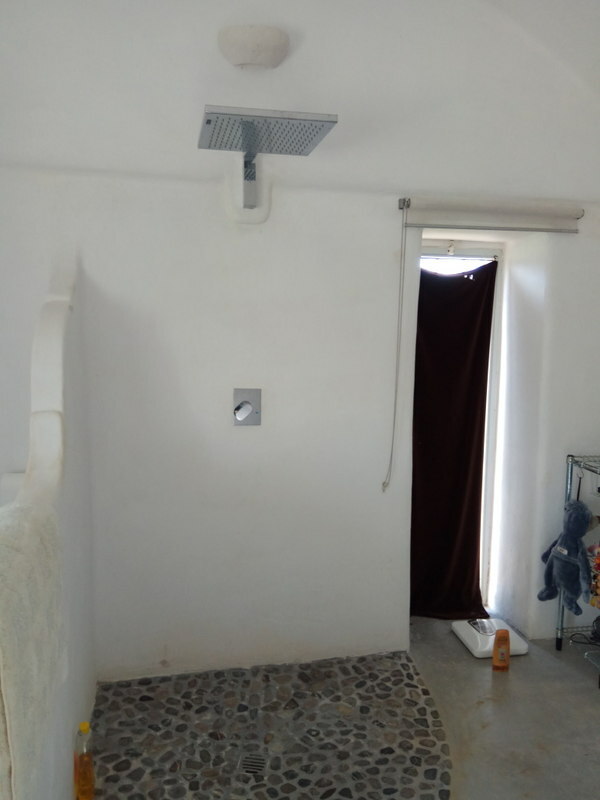 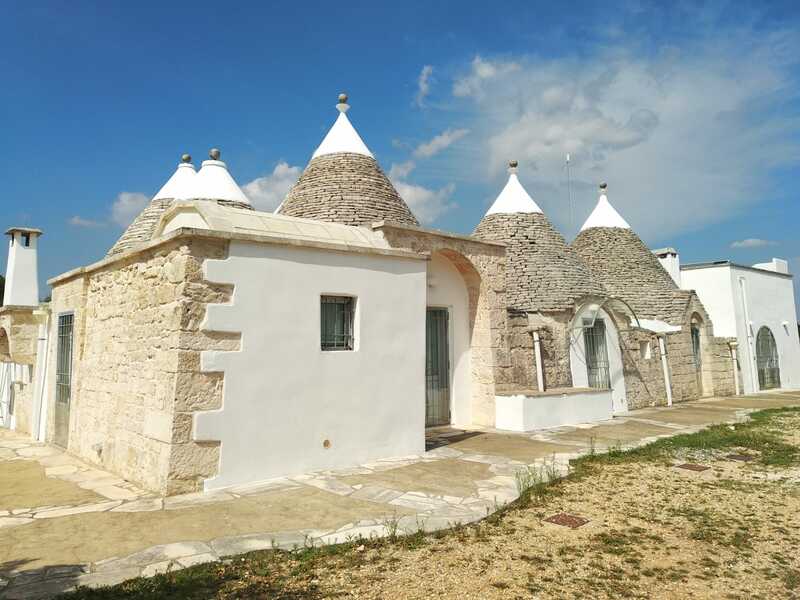 Impressive trulli property for sale in Ceglie Messapica, Puglia Italy, at short distance from the amenities. 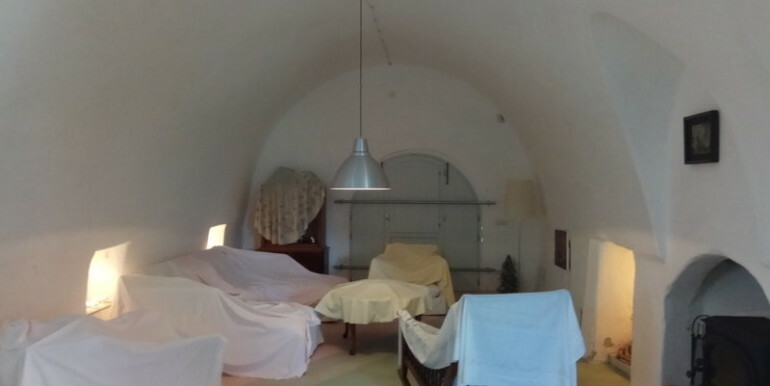 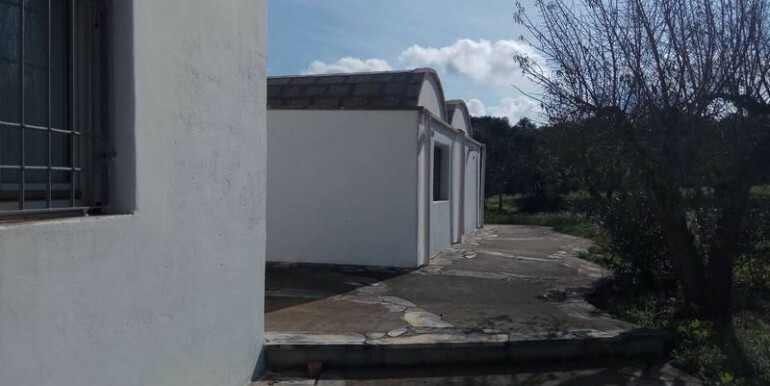 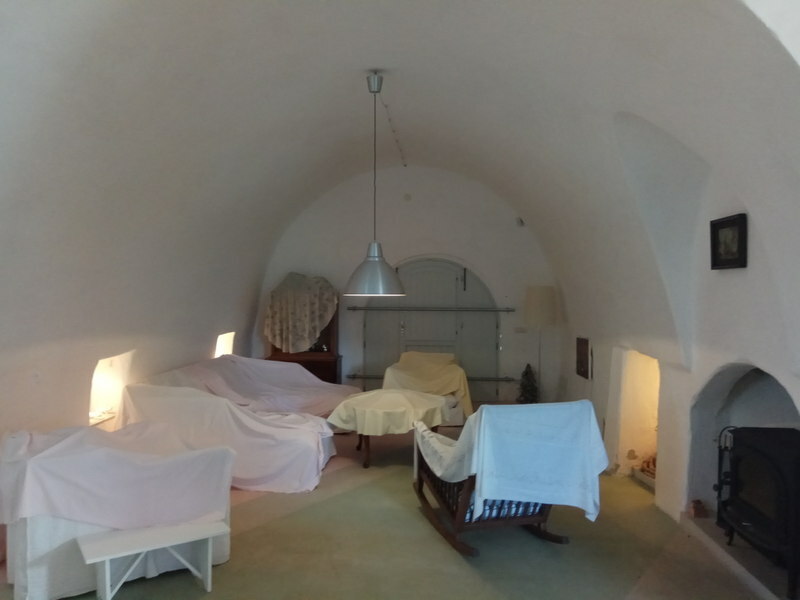 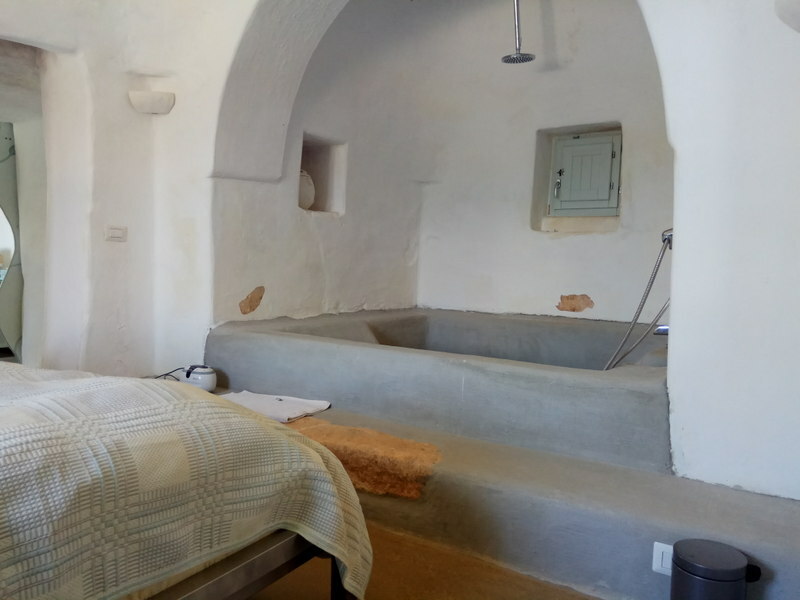 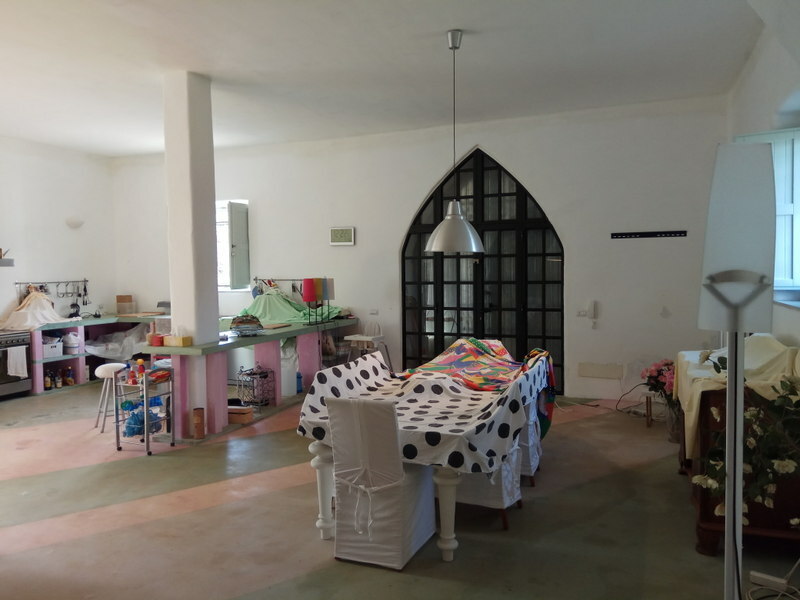 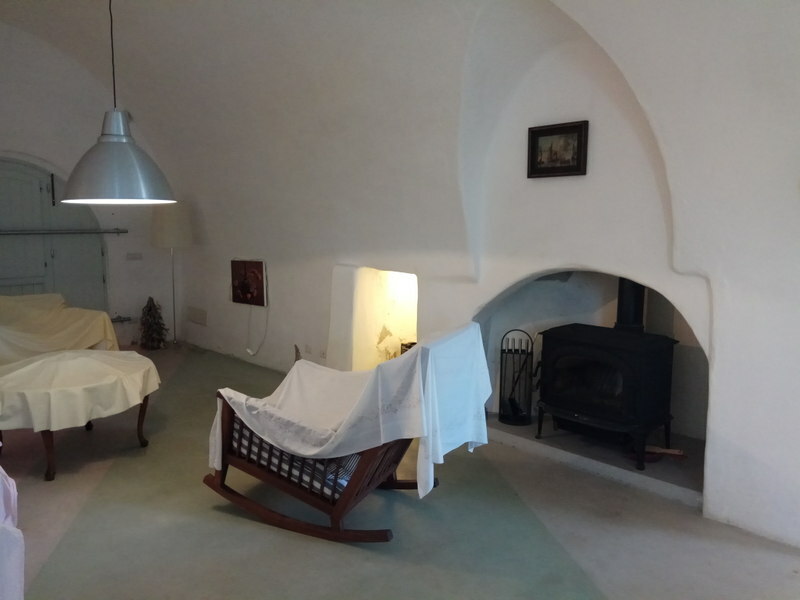 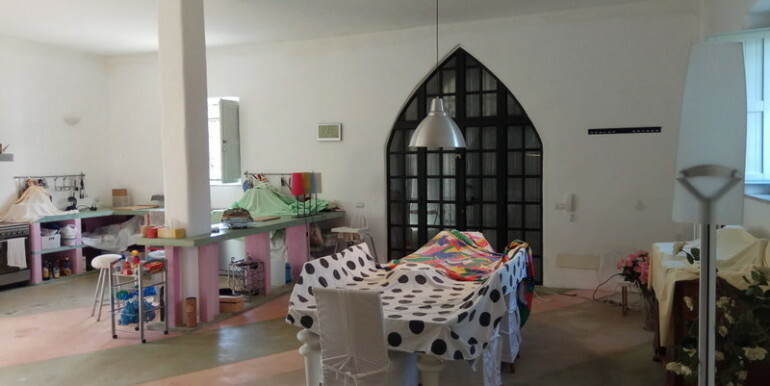 The real estate for sale has barrel-vaulted lamia and a kitchen living space measuring some 100 square meters. 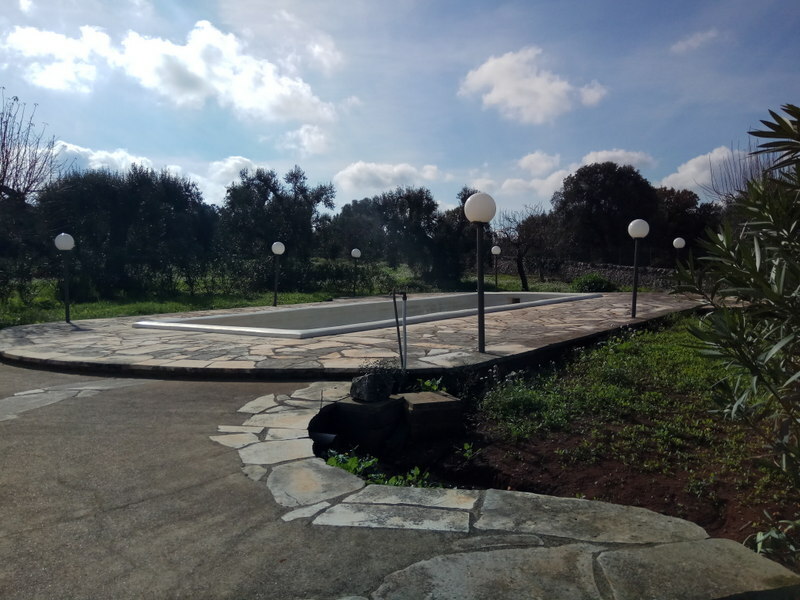 This finely-finished structure is composed of the kitchen-living mentioned above and a comfortable living area with fireplace with an ample kitchen, a sleeping area consisting of 4 bedrooms and 4 bathroom (three of them en suite), corridors connecting the bedrooms. 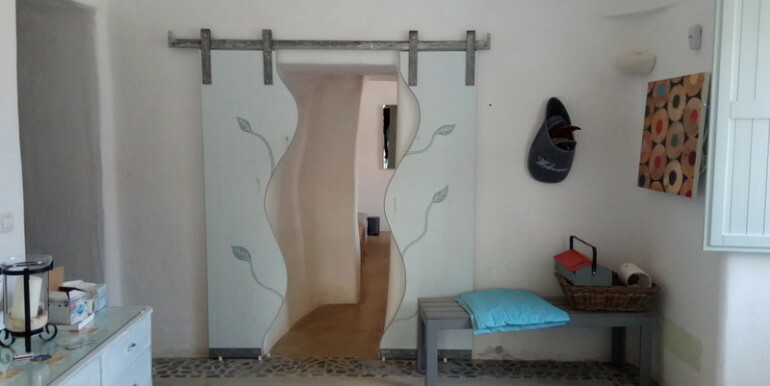 The 2 areas of the house are internally connected and externally via a plexigas tunnel mounted on a metal structure. 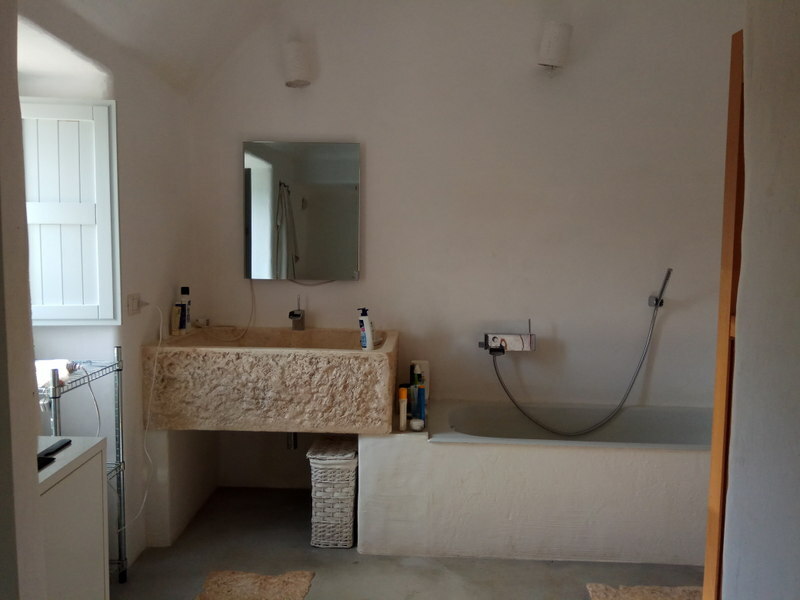 The various features the house has to offer are listed below. 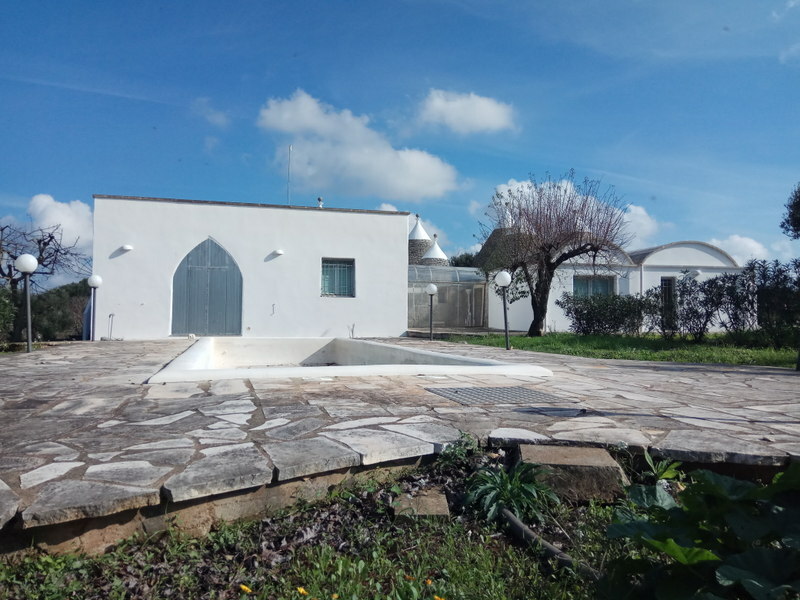 Externally there is a patio surrounding the whole perimeter of the house connecting the latter semalessly to the pool (at the back of the house). 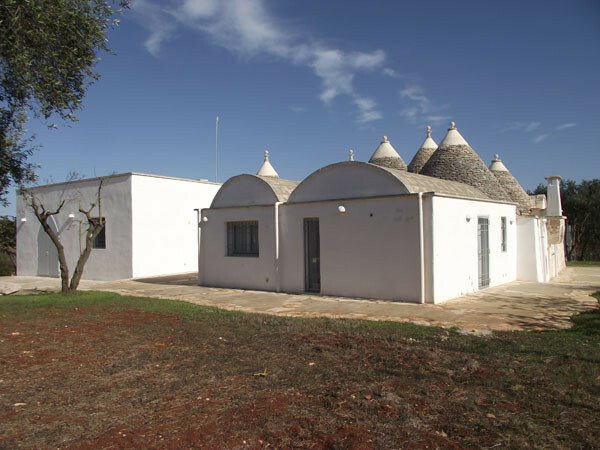 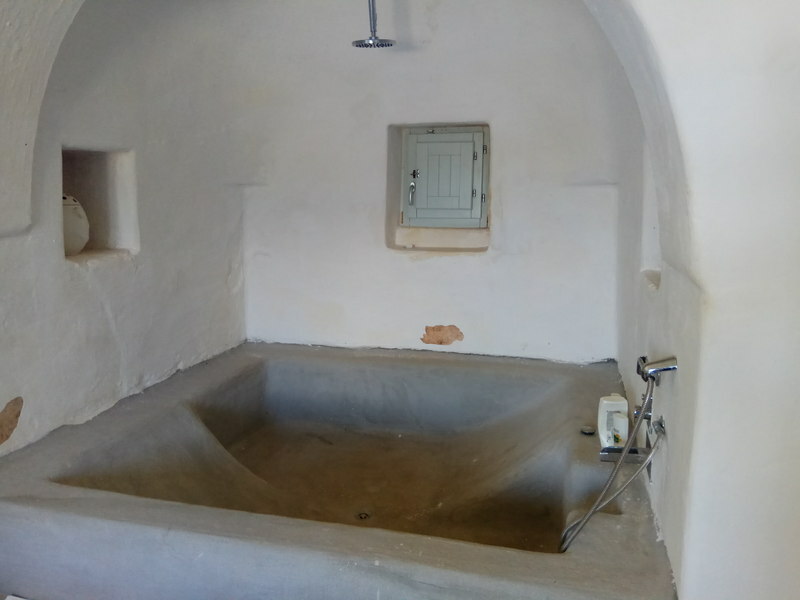 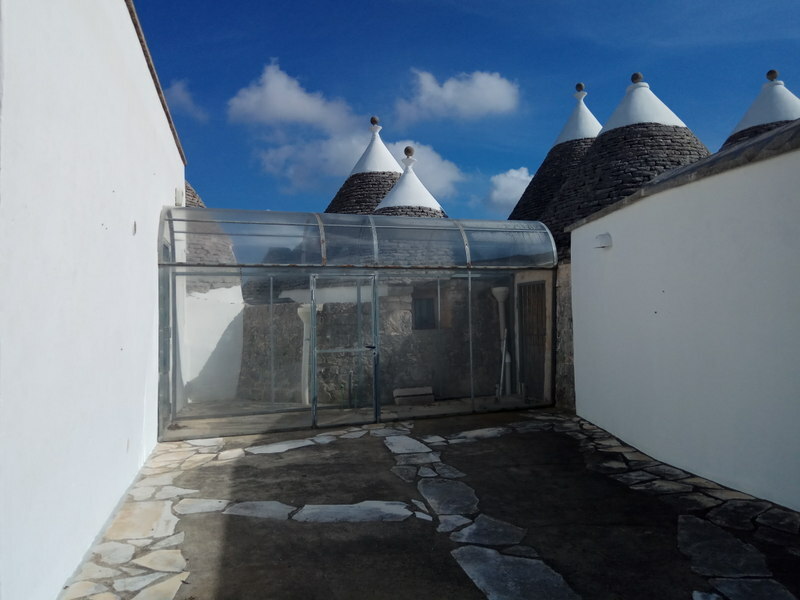 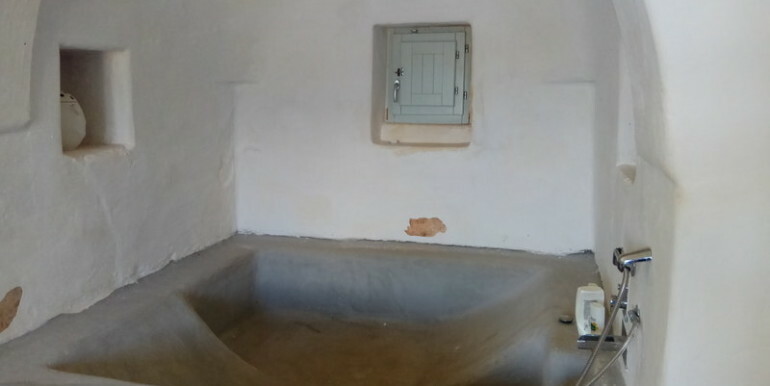 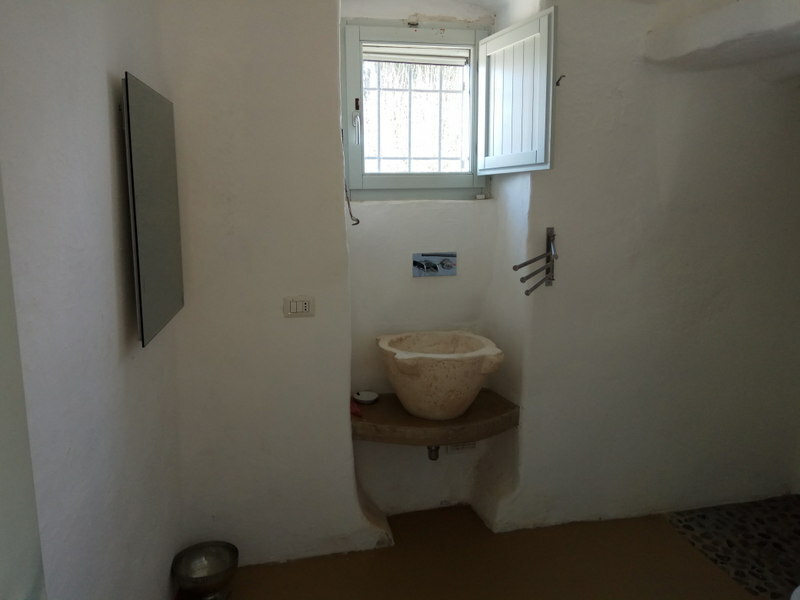 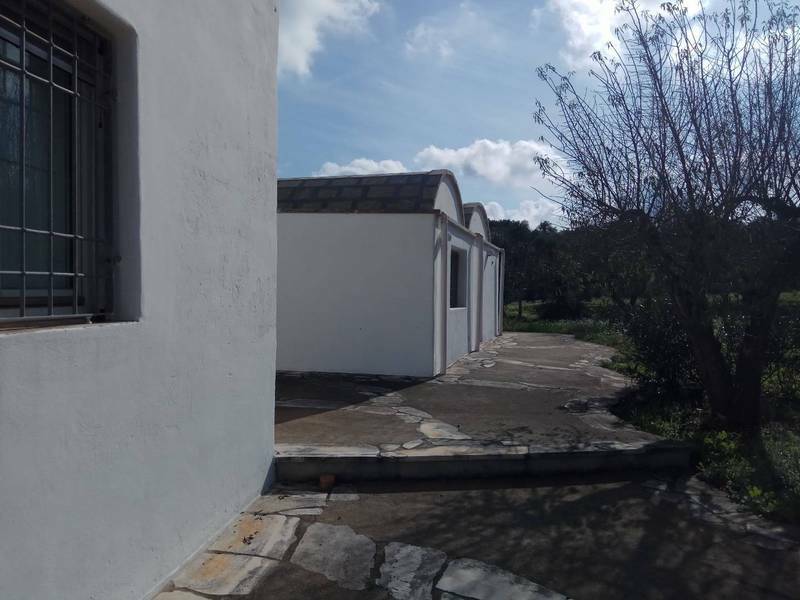 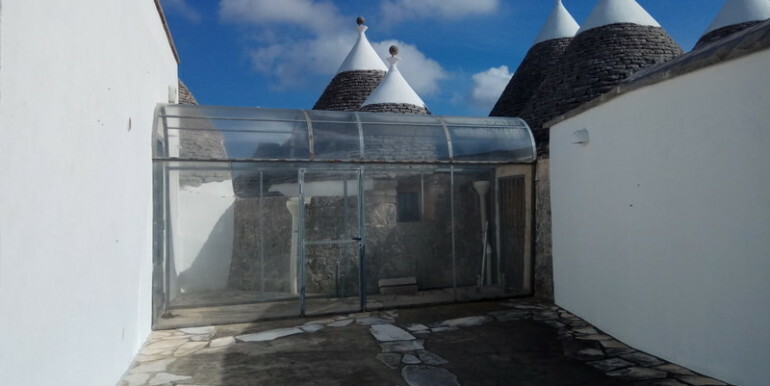 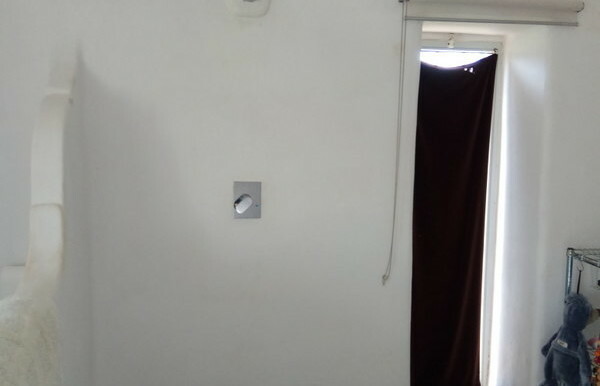 Opposite the front of the trullo there is a useful unit registered and used as a storage. 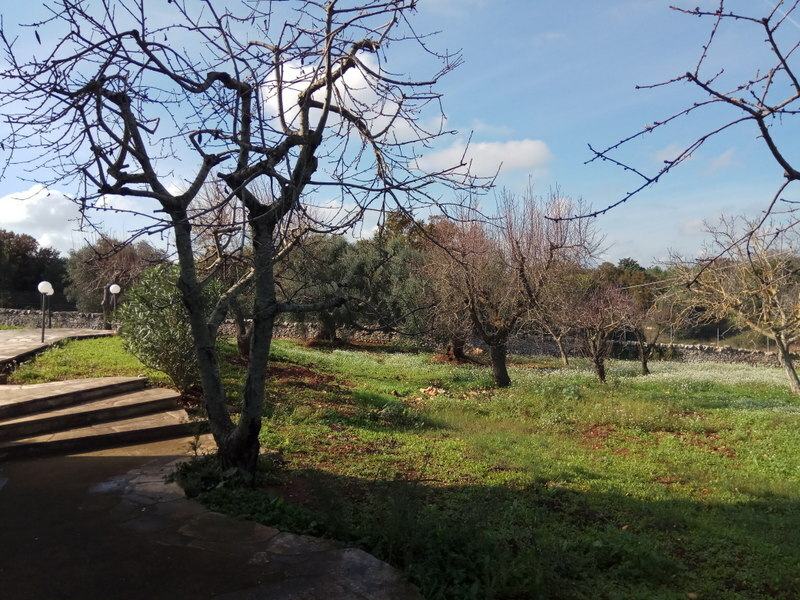 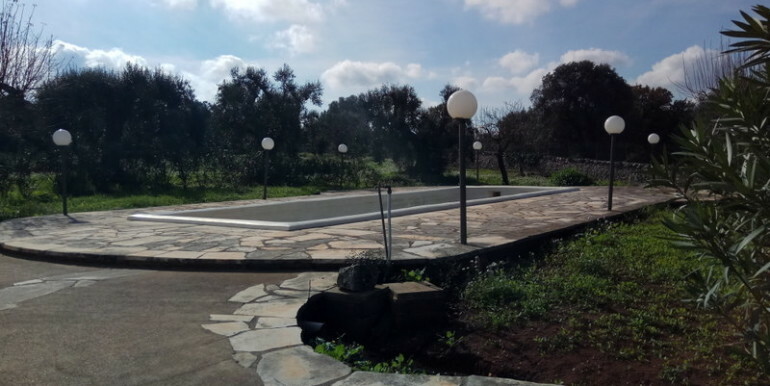 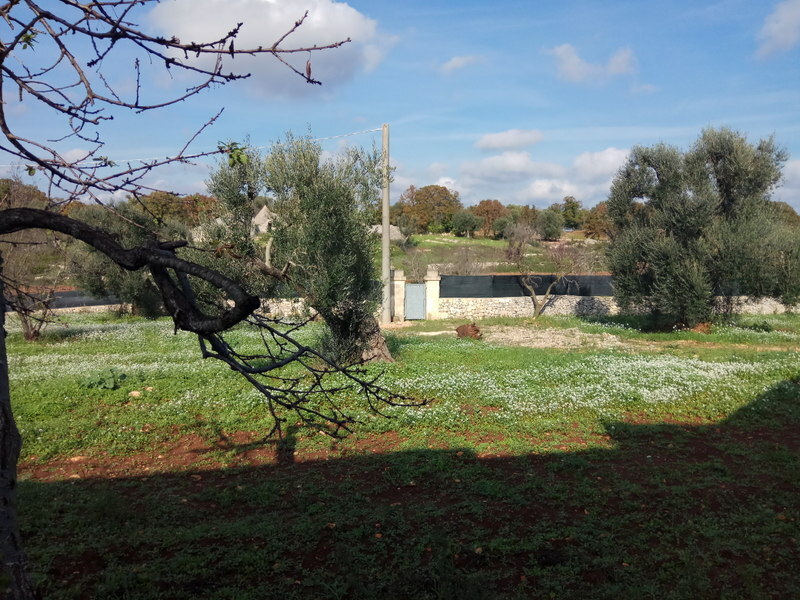 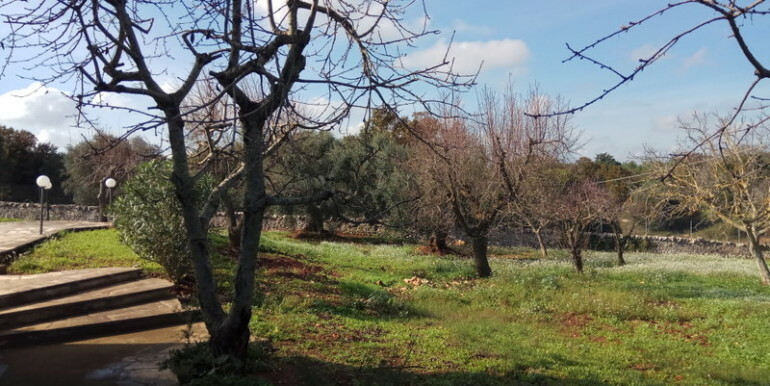 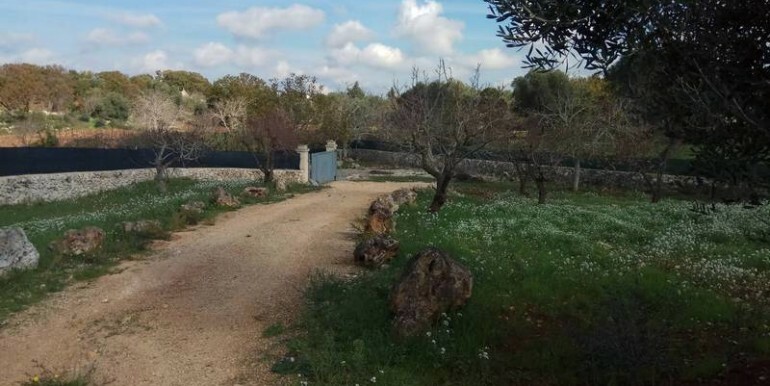 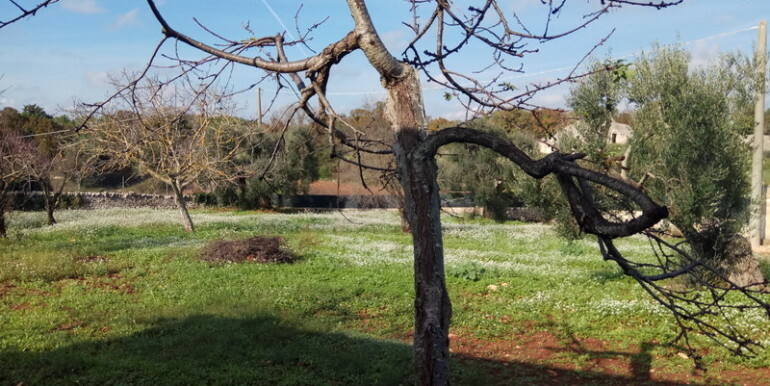 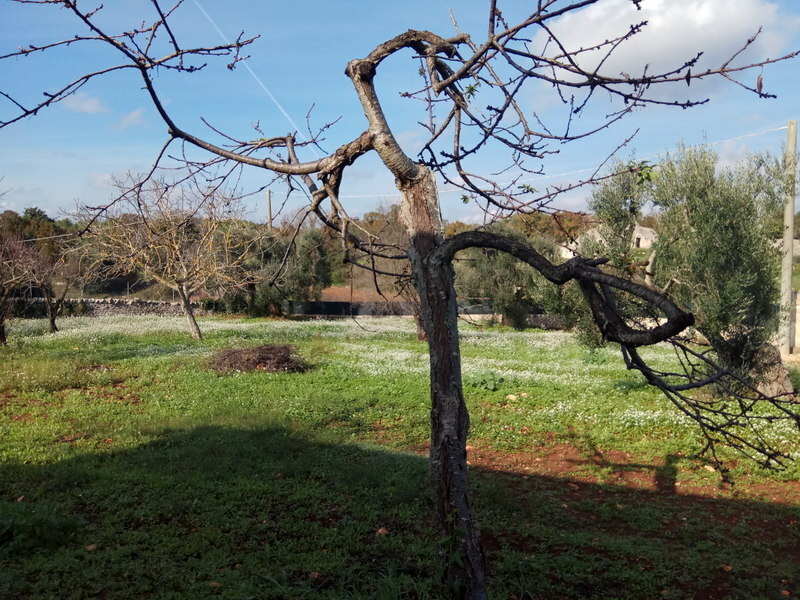 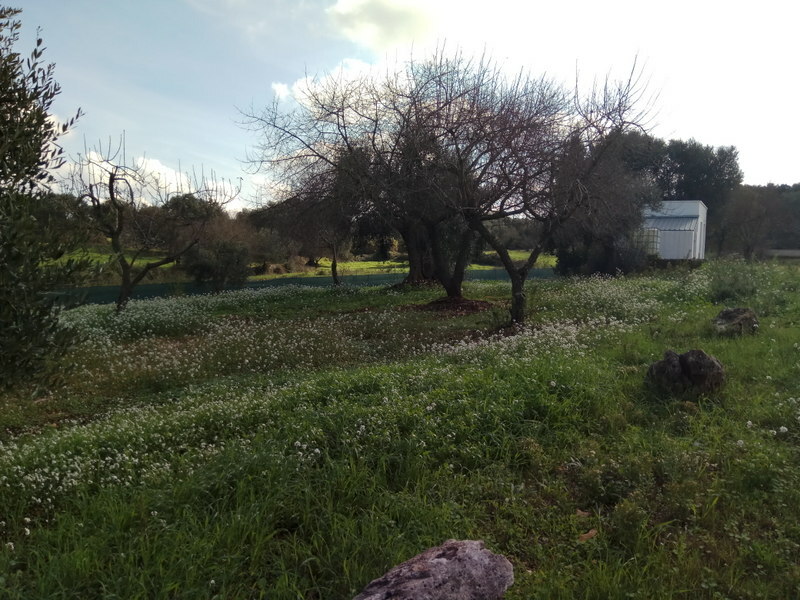 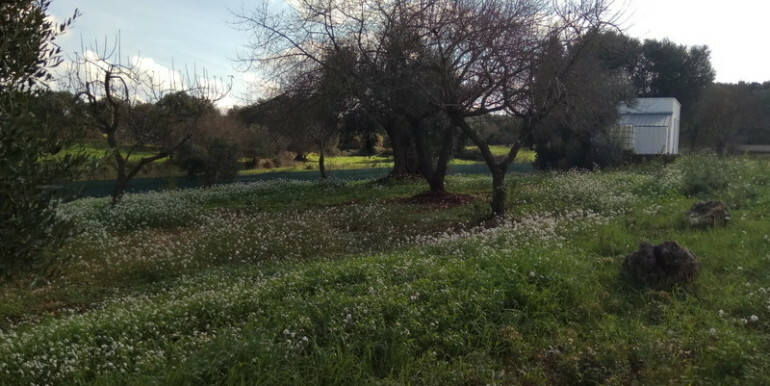 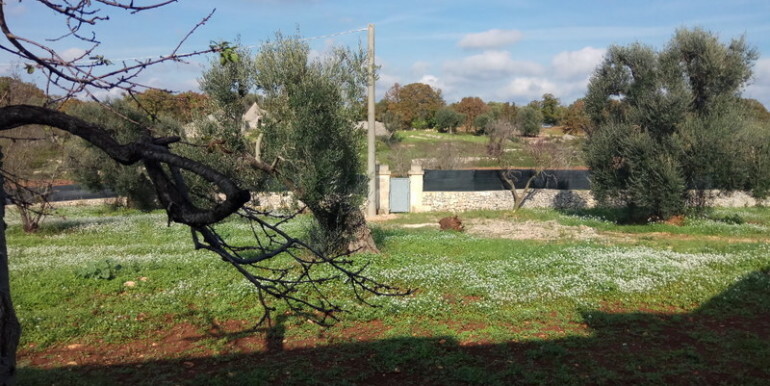 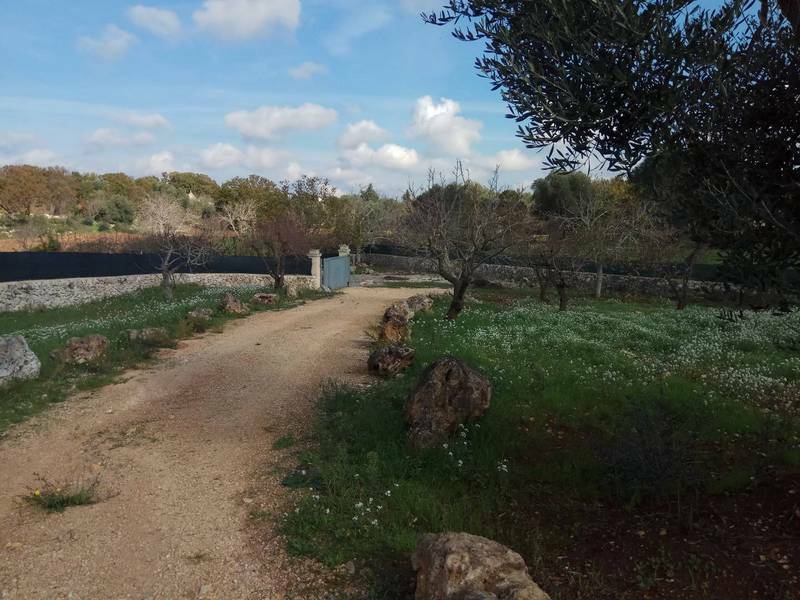 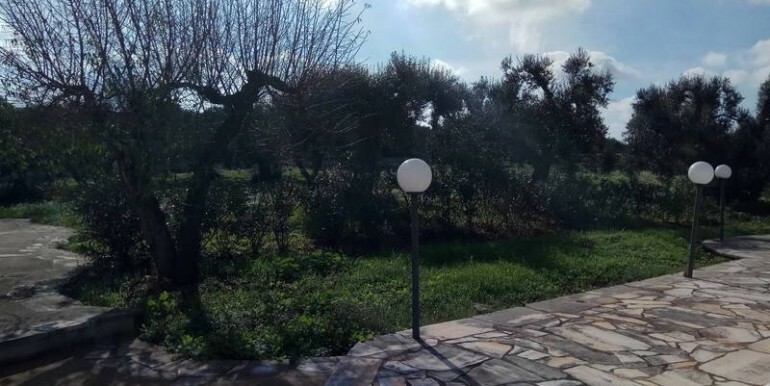 The plot of land which is in elevated position extends for 10.000 sqm and has a nice and rich variety of typical – olive, almond, cherry, fig trees. 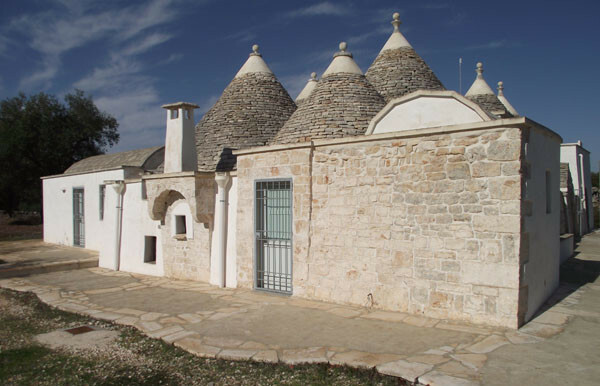 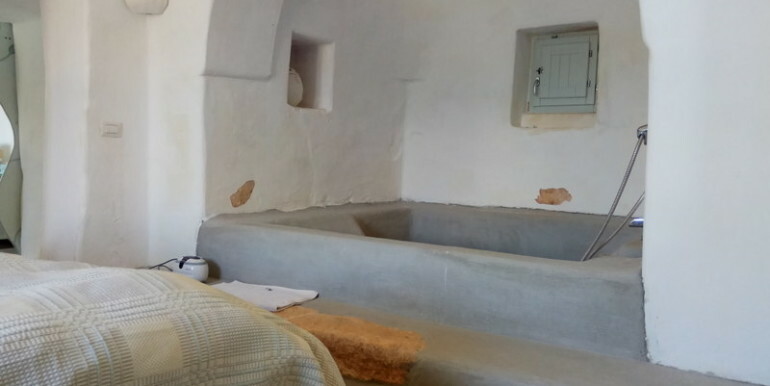 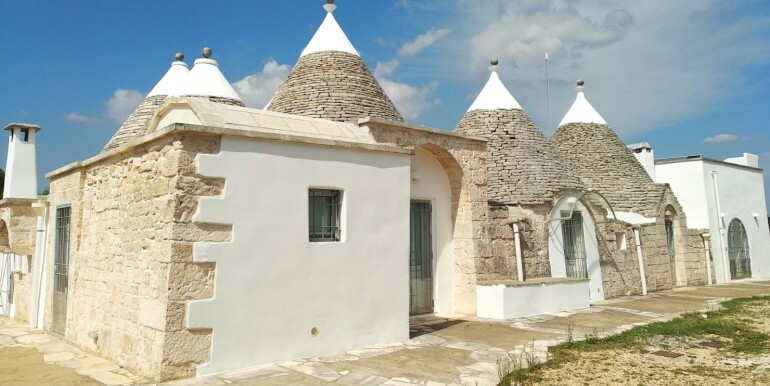 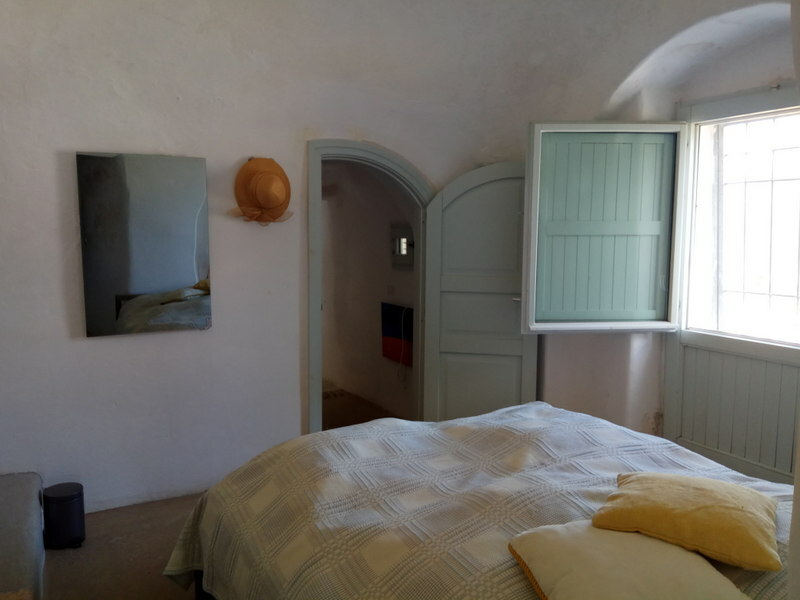 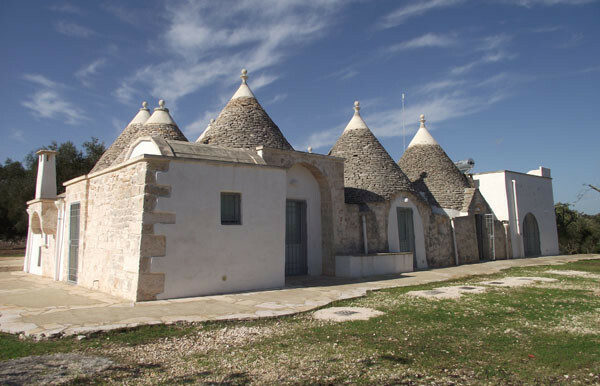 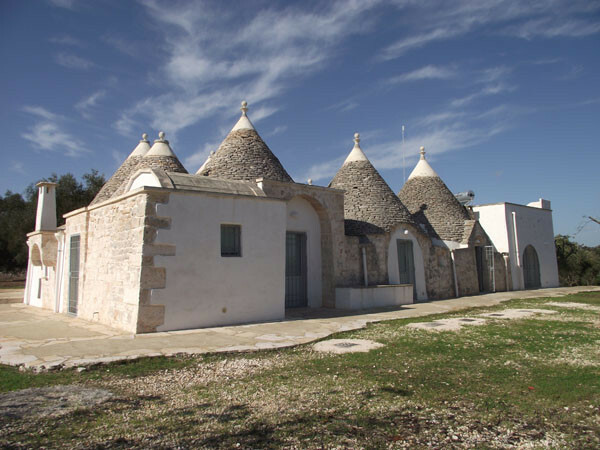 The whole plot of land is surrounded by dry-stone walls which were built by local trulli craftsmen strictly following the local stone masonry tradition. 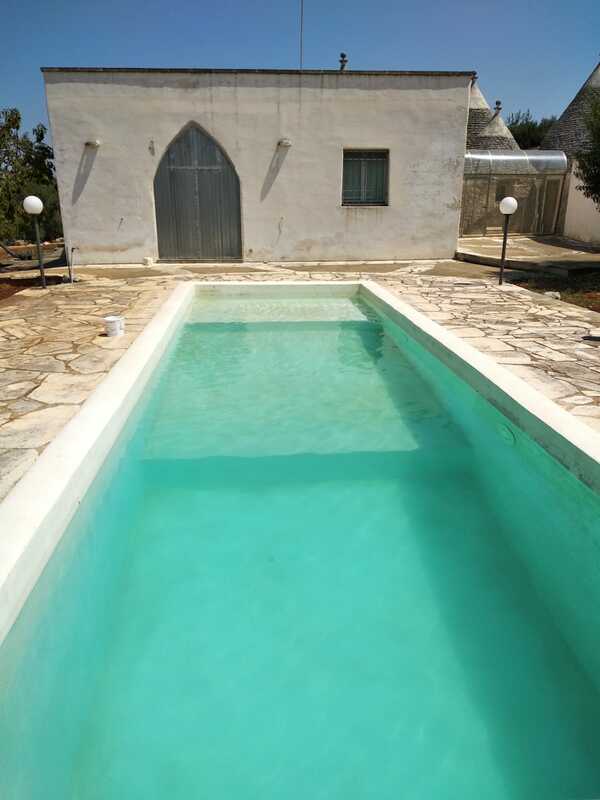 Subscribe to our newsletter and keep updated on the latest properties listed on the market.